How much of your past should you share? Is it wise to date another addict in recovery? What should you do if you're attracted to a problem drinker? These are important questions in any dating relationship, but even more ciritical for individuals who are in recovery. 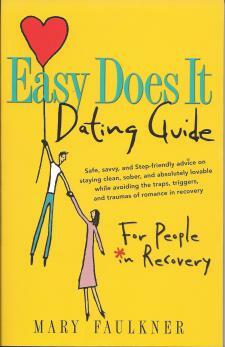 This Step-friendly, one-of-a-kind dating guide offers frank yet lighthearted advice about avoiding the traps, triggers, and truma of romance in recovery. "Dating in recovery has been compared to playing football without gear, running barefoot over sharp rocks, and having dental work without the benefit of painkillers. It can be the great escape, bounce you back into relapse, or trigger a new addiction."